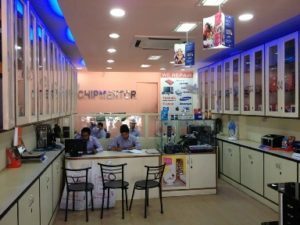 How Chiptroniks is changing life of Millions? Unemployment is one of the social problem that is rampant in India .There is dearth of some good vocational & technical courses which will enable lower middle class students to earn their livelihood . 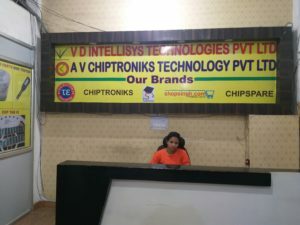 Chiptroniks has introduced some very smart courses which will make the students Job ready , and thus boosting confidence. What are the future Prospects of Mobile-phone repairing training? Mobile-phone users growth rate average is 38.17%. Number of the handsets being used by those users seem to be triple of the figure. Considering all these valued information, it could be taken as granted that in next one year of time number of users will cross 100 million and the number of Handsets will be triple of that. What are the future Prospects of Computer Hardware & Networking Training ? As per Nasscom , the IT , ITES sector will reach US $23 billion mark in FY 08-09. Demand for Computer Hardware and Networking specialists along with company infrastructure , according to MAIT have increased both in India & abroad . Industry Standards maintain that 1 hardware professional is required per 100 PC/Notebooks , similarly 1 professional would be required to handle 10 servers and so on . That itself transaltes into a need for atleast 3 lakh professionals YoY . According to MAIT-Ernst & Young study, 2003 the requirement for computer Hardware & Networking professional will touch 2.4 million by 2010. RETAIL – 2.5 million new vacanicies will be generated in the next 5 years . Managing front and back offices roles , these professionals will be responsible for IT infrastrucutre management , warehosuing , audit , CRM , operations , bar coding etc. MANUFACTURING – expected demand of 2.6 million over the next few years. AVIATION – driven by the trebling of the air traffic volume , over 2,00,000 Hardware & Networking professionals will be in demand. Moreover ,Education & healthcare are the emerging area , that are expected to generate more demand in the near future .Clearly then no period of down turn can stem the growth in demand for Hardware & Networking professionals. Please expain future growth prospectus in mobile-phone industry in India? The rapid surge in the telecommunications industry has witnessed an unprecedented growth in the market for cellular phones which has led to entrance of global players into India. The telecom sector is set to grow at a rate of 38 per cent. Mobile phones those were erstwhile regarded as a luxury for the upper or upper-middle class has now gradually tapered down to the lower sections of society as well. Explain about the career in mobile phone repairing? Considering the need of servicing of Mobile-Phone and the present insufficient condition of all services centres, it’s the right time effort to make the career in this industry. Its also a lucrative subject where self-employment always plays a vital role tinder genuine industry level guidance. 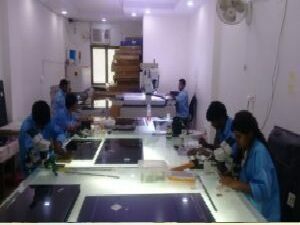 Mobile phone repairing and servicing programme always addresses the self-employment ideas and its real time implementation. 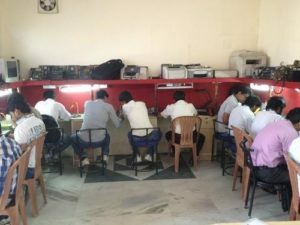 The successful student can be placed in any reputed service centres or can start his / her own service unit and can earn throughout life by our life-time technical back-up support facility. What are different benefits of Chiptroniks Courses? How Hi-Tech institute of Mobile Technologies training is related with unemployment of our nation by promoting entrepreneurship? 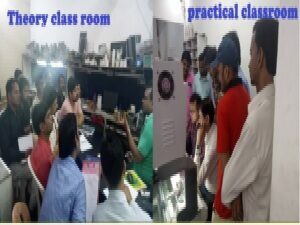 What are different benefits of Hi-Tech Institute of Mobile-Phone Repairing course? What are different mobile-tools sale by Hi-Tech Institute of Mobile Technologies? What are the facilities provided with the mobile-phone tools by Hi-Tech Institute of Mobile Technologies? Email: backup_support@hitech-research.comHow Hi-Tech institute of Mobile Technologies training is related with unemployment of our nation by promoting entrepreneurship?